Lifeguards Chris Taylor, Grace Emnett, Aiden Fields. McKinley Pool, one of the most popular summer spots in the city is finally on track to open, after a week of water issues created some doubt. 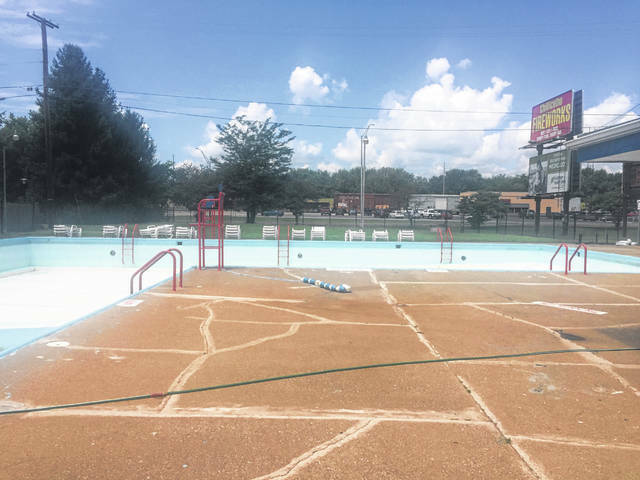 With the water break issues plaguing a large portion of the city last week, and some homes still without clean water, McKinley Pool is being filled manually without its usual help. 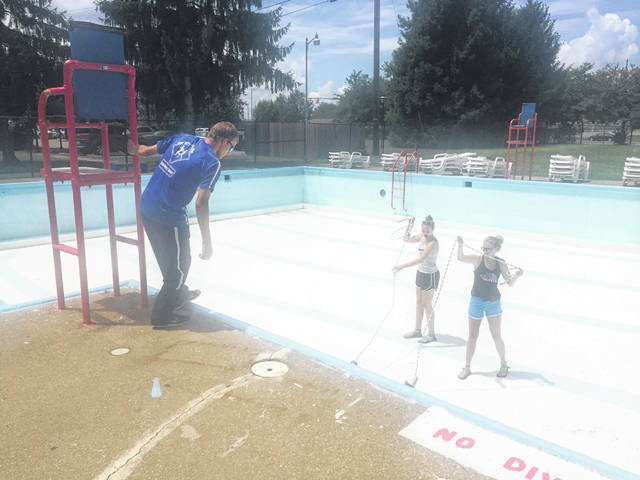 “Usually we have a firetruck that comes in and helps us fill the pool, but due to all the breaks and pressure problems we’ve had, we just have to do it this way right now,” said Hairston. Although the date is not yet set in stone due to the long process of manually filling the pool and an extensive check list before the final OK, Hairston says they are aiming for a July 7th opening date. Initially, it was rumored that the Pool was postponing its opening date due to staffing issues, but according to Hairston, those problems no longer exist. McKinley Pool hours are Noon until 7 pm, Tuesday-Saturday, with hours varying for parties and other special events.